The Alliance of National Heritage Areas kicked off its 2017 Annual Meeting with a special group tour of the new Smithsonian National Museum of African American History and Culture. 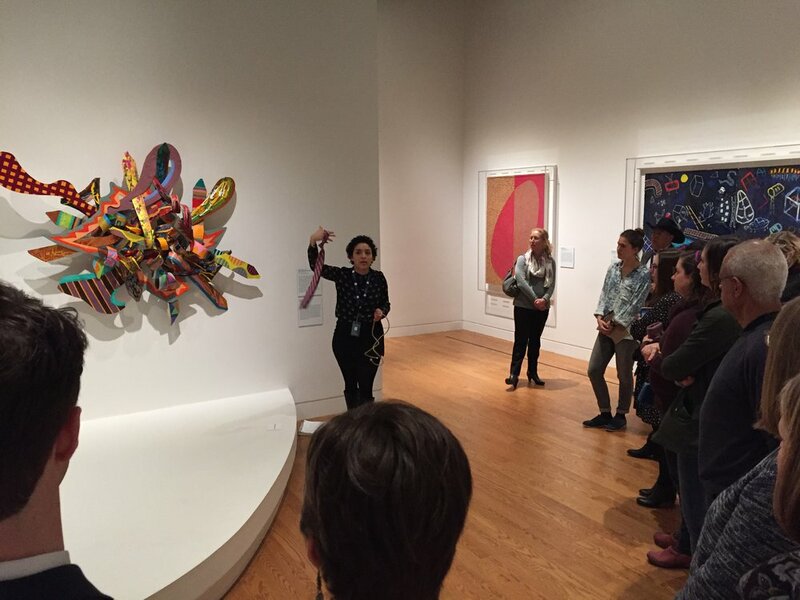 The tour was organized by Dr. Rolando Herts (Mississippi Delta NHA), Brandi Roberts (Great Basin NHA), and Sara Capen (Niagara Falls NHA), in collaboration with Smithsonian NMAAHC Ambassador Mossi Tull and the museum’s education division. Approximately 60 individuals participated in the tour, including Alliance members and supporters representing nearly 20 NHAs, along with representatives from the National Park Service and the National Parks Conservation Association. Staffers from the Office of Senator Roger Wicker (R-MS) also participated. 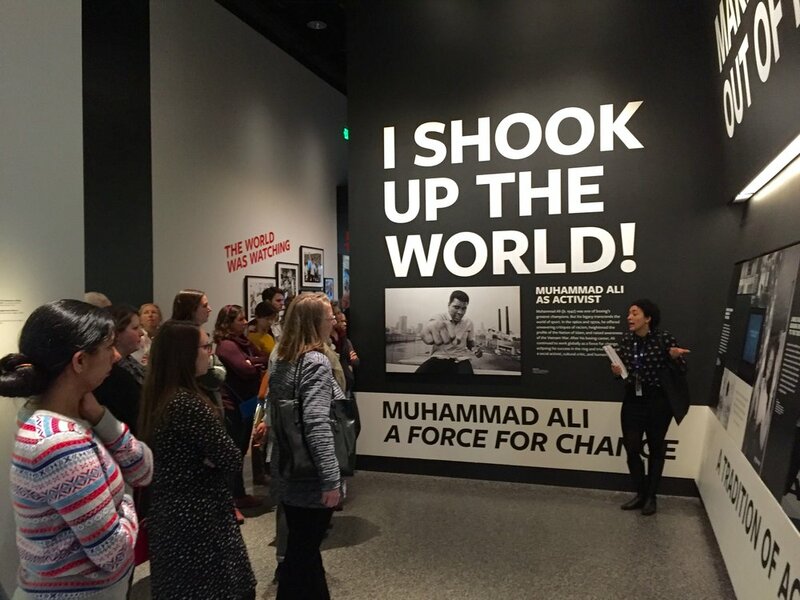 The Alliance is among the first groups to receive a guided tour of the Smithsonian NMAAHC through the museum’s recently established docent program. The Smithsonian NMAAHC is the only national museum devoted exclusively to the documentation of African American life, history, and culture. It was established by Act of Congress in 2003, following decades of efforts to promote and highlight the contributions of African Americans. To date, the Museum has collected more than 36,000 artifacts and nearly 100,000 individuals have become charter members. The Museum opened to the public on September 24, 2016, as the 19th and newest museum of the Smithsonian Institution.